Pink Flamingos - in France? Flamingos wade in the nature reserve of Camargue in Salins-de-Giraud near Arles, southern France. 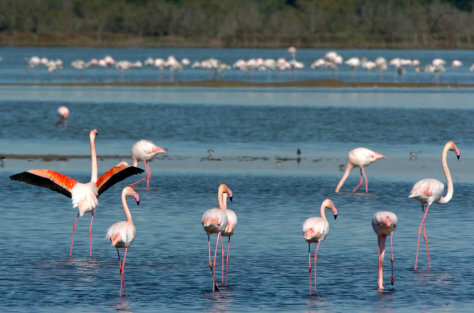 The Camargue, a wind-swept river delta bordering the Mediterranean Sea, is one of Europe's most important wetland sites, a nesting ground for pink flamingos and home to hundreds of other species of birds and other wildlife.